The human brain is an amazing thing. Did you know that when we encounter an event of danger, our brains shift into emergency mode? In emergency mode our adrenaline flows, our senses heighten, and our brain helps us do what is most important to get to safety. During this "emergency mode," the part of the brain that records narrative is essentially "offline." So after the emergency, when we tell the story of what has happened, at first it might seem jumbled, out of order, or missing pieces of information. If we are in a supportive community, we are encouraged to tell the story over and over and over again, and eventually our amazing brains sort it all out and move the information into the narrative part of our brains. For some people, once they can tell their story from beginning to end, they experience a sense of healing. Nightmares and flashbacks sometimes end. This is why 15 years ago, just after the events of 9/11, it was important to let people tell their story as many times as they needed too. Those who said, “Just stop talking about it and you will get over it,” had it wrong. Providing a community of support and safety where people could tell their story over and over and over, for as long as they need -- that can bring healing. Every Sunday, we tell the story, over and over again. We tell the story of Jesus’ death, resurrection, and powerful forgiving love for us all. When we stand before the altar and hear the story, “On the night in which he was betrayed . . . ,” we hear the story that can heal us. We could say, “Oh just stop telling that story.” No, instead we say, “I love to tell the story.” Because this story, connected to hard times of our lives, can bring us healing. The 15th anniversary of September 11th falls on a Sunday. We will gather at the altar at 9am, 11am and 12:45pm to hear the story. We will gather in community – a community where we can tell our stories alongside Christ’s story and together know the power of healing. During the 10:10am Adult Conversation, those gathered will be invited to share their story from September 11th and their story of what they have learned that empowers us to be a healing community 15 years later. Pastor Ann’s Story: Tom and I live only about a mile north of ground zero, but we were not home on that morning. At that time in our lives, Monday was our day of rest at our NJ Shore home. We would drive back to NYC Tuesday mornings. So, we woke up that that beautiful, clear, sunny fall Tuesday morning and witnessed the events unfolding on TV. All the bridges and tunnels were closed to NYC bound traffic. We could not get physically back to our home, our community of faith or places of work for 24 hours. I remember feeling a sense of disconnect. Once I had connected by telephone with family members outside the area to let them know we were fine, once I had connected to the people at the church I was serving, once I could again gather at the altar and hear the Story – that is when the slow process of healing began. What I learned was how important it is to me to be connected to a community that loves to tell the story. Pastor Mills' Story: One tower. Then the second. We watched them fall from my window at the Synod office on Claremont Avenue. Stunned silence. Disbelief. Fear. Panic. My nephew worked in the north tower! Several friends worked in one tower or the other!! And most forms of communication were down in Manhattan. I could not reach those whom I most loved. I felt paralyzed. The bridges and tunnels closed. The building administration closed our offices as well and sent us out into a suddenly unfamiliar world. But those of us who remained after most had headed home to Westchester, New Jersey, the Bronx, gathered in the chapel to pray and to cry and to offer words of hope – God is with us. No subway. No bus. No traffic and very few people. Broadway from 120th Street to 186th Street was little more than a ghost town. Finally home, it would be 8 hours, 12 hours, 24 hours before many of us would receive word – good or difficult to hear – about our friends and family. But in the days that followed, New Yorkers, most people living in the United States, and indeed what seemed like the whole world, pulled together as one community. We all became stronger in the midst of tragedy and uncertainty. The dark hours released their grip and light began to enter in – God is with us. I still have moments of paralysis. But in repeating my story and in listening to yours, whatever it might be – personal loss, health issues, loss of job, flood, famine in all of its manifestations – we become stronger and are able to more clearly see that Christ’s glory envelopes us and our longings are satisfied, our hungering is sated and our thirsting is quenched. And we know that in the midst of all things, God is with us. Communication Coordinator, Kevin Bowen's story: I was only 11 years old and just starting the 6th grade at a small middle school in California on September 11, 2001. I came out into kitchen to see what was for breakfast and the TV was on, which struck me as strange because it was never on in the morning. On screen was the gripping image of huge, shiny buildings crumbling to the ground. I asked my parents if they were watching a movie. They said, "No, this is real," and withdrew back into silent fixation on the TV. At age 11, the distinction between imagination and reality was still somewhat blurred. I had never seen or heard of the World Trade Center until that day. So I just remember the sheer shock, awe, and confusion of seeing something that looked like it should be happening in a movie, and yet bore the live news banner at the bottom of the screen. This kind of stuff doesn't happen in real life, right? My mom kept the radio on as she drove me to school, and blew right past my exit on the freeway. "Mom, you missed it," I said. "Oh my gosh, you're right," she replied a few seconds later, flustered and distant. At school, an announcement came over the P.A. system that teachers and students were not to talk about the events of the morning. And so we went through the day under this ominous, oppressive cloud of authority suppressing everything we wanted to ask and say. I remember 9/11 as the first day I saw my parents, my teachers, my school -- once unshakable pillars of security and authority holding up my small world -- crack at their edges, revealing insecurity, confusion, and fear. As an adult today, I continue to see the brokenness, corruption, and confusion in our world more clearly every day. Some days I feel hopeless. But in the end, I place my trust in God, that God's will and God's work are far greater. The light shines in the darkness, and the darkness has not overcome it. Each of our stories is unique and different. There is no right or wrong in our stories. Our unique stories are connected by the story of Christ. Come and join us at worship and in conversation on Sunday, September 11th. Share your 9/11 story at our Adult Conversation this Sunday | Our Adult Conversation takes place every Sunday from 10:10am-11am in the basement fellowship hall. This Sunday, our conversation will focus on sharing and responding to experiences of 9/11, and looking forward to how we can continue to live God's story of healing and redemption even as such tragedies loom in the past. Professional counseling, the Lutheran way | For some of us, the anniversary of 9/11 brings up painful personal losses and still-raw emotions. We have Lutheran Counseling Center right here in the building if you need to schedule an appointment to talk your feelings through and seek continued healing. If this 9/11 anniversary is going to be a particularly tough time for you, consider setting up a session. Contact Rev. Dr. Tom Taylor at (917) 886-6399, Rev. Forrest Parkinson at (800) 317-1173, or Susan Blayer, LCSW at (347) 387-5648 to make an appointment. 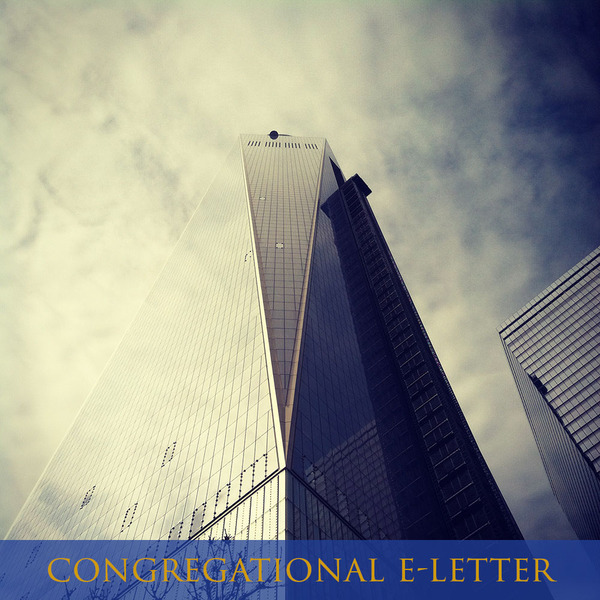 Make an emergency plan for your home | Pastor Ann and her husband now use 9/11 as a day to review and update their emergency plan. Click here to visit NYC's guide to making an emergency plan with your loved ones. This somber anniversary could be a catalyst to securing your emergency plan together. Help provide support after present and future disasters | Our Mission of the Month for September is Lutheran Disaster Response. After 9/11, Lutheran Disaster Response provided direct financial and counseling care to families and individuals affected by the tragedy, and emergency financial assistance for programs in NYC already setup to help, like food pantries and soup kitchens. At the present moment, LDR is providing hope and relief in the midst of the Louisiana Gulf Coast flooding, the Africa drought, the West Virginia flooding, the Japan earthquakes, the Nepal earthquake, U.S. Wildfires, the Middle East and Europe Refugee Crisis, and AMMPARO: Protecting Migrant Minors. Click here to support this critical ministry of our church. Members, friends, neighbors -- we want you to be here with us on Rally Day Sunday, September 18 for worship, Rally Day festivities for all ages from 10-11am, and a special Rally Coffee Time after 11am Worship. 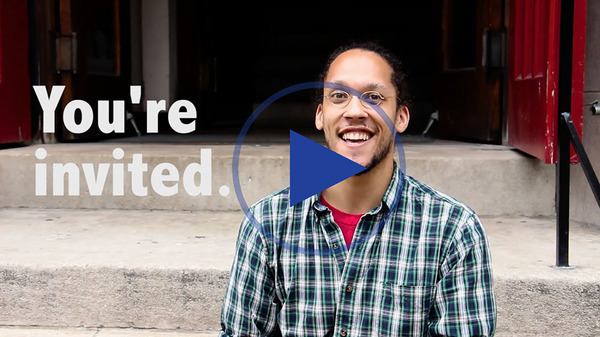 Check out the special invite video below! Rally Day details and schedule are here. Join our choir, the Advent Chorale. 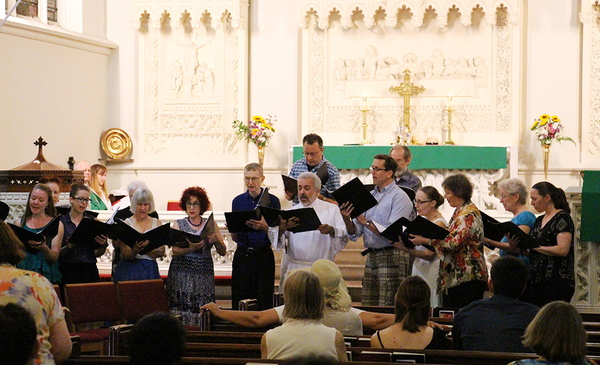 The Advent Chorale will have its first rehearsal after summer break at 7:30pm THIS Thursday, September 8. If you're interested in singing in our choir this year, email director Aaron Wunsch at aaron@adventnyc.org to get started. More information about the Advent Chorale can be found here. Be a Sunday School teacher this school year. It's easy, rewarding, and fun! All teaching materials are provided for you each week, you get to teach with a partner (which make it more fun, and makes it easier if you have to miss a Sunday), you get a training session with all the teachers on Sunday, September 11 (10am-11pm), and, most importantly, you get to build amazing relationships with families here Advent. We have 4 teachers already, and we need 4 more to complete the team this year! Could you be our answer? Email Zachary, our new Sunday School Coordinator, at zachary@adventnyc.org to get more information or let him know that you're interested. Volunteer at our After-School Program this school year. If your schedule is open on Mondays from 3:30-5pm, consider being a volunteer at our After-School Program. This program focuses on helping kids in our congregation and neighborhood with their homework, while providing a focused work environment and a healthy snack. Email our After-School Program coordinator, Barbara Ito, at afterschool@adventnyc.org to let her know you're interested. We've got our first Advent Chorale rehearsal this week, our Sunday School teacher training this Sunday, and MANY other programs starting up in the next couple of weeks. Stay in the loop on everything going on at Advent with our Ministry Calendar. Gospel Text | Luke 15:1–1: Jesus tells the Parable of the Lost Sheep. Old Testament Reading | Exodus 32:7–14: The Israelites worship false gods. Sunday School | One more week until Rally Day on Sunday, September 18! Adult Conversation | 10am in the basement fellowship hall. A special discussion about our experiences of 9/11, and how to move forward toward healing and peace. Contribute to our Mission of the Month this September: Lutheran Disaster Response, currently providing relief to people throughout the world in the wake of major disasters. Learn more here.